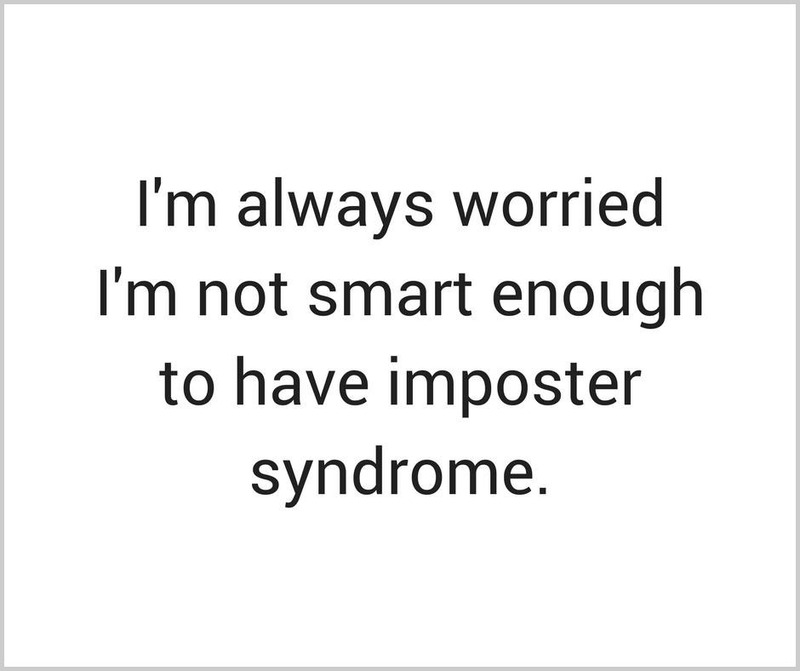 Do you know about impostor syndrome? 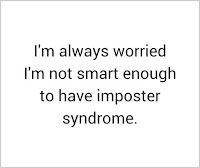 Impostor syndrome is a belief that you’re an inadequate and incompetent failure, even though evidence shows that you’re skilled and quite successful. It's something that every single one of us suffers from at one point or another. It's something that I'm dealing with right now when it comes to my writing. I have a couple of friends who text me multiple times a week to ask me a question about writing, editing, or even publishing. For the life of me, I cannot figure out why they'd ask me. What do I know about it? Someone recently pointed out that I'd helped write 2 novels, wrote a filler novella length "journal" and all three of them are available in print and e-book formats on Amazon. Even then, I shrugged and said, "Yeah, well that was mostly Nick. He wrote the original books and he did all the work to get them up on Amazon." It doesn't seem to matter that it was pointed out that I did a ton of work on the books to correct and improve things or how much time I've put in studying how to properly do these things. I just can't seem to feel like anything but a fraud when it comes to my writing and what I do/don't know. So, what do you do when you're struggling with this? According to The Muse, there are some steps that we can all take. I'm going to post them here, but please click the link above if you'd like more information on any of them. Identify what's shaking your confidence. Remind yourself that you didn't get to where you are on accident. I tweaked this one since for me my impostor syndrome isn't specifically related to a job. Take a risk and keep going. Take a look at your language and update it. Write down your story as if it's an introductory bio for someone to read. Know that impostor syndrome is actually a sign that you're doing something right. What's shaking my confidence? The fact that I haven't written a single word on book 3 in about 6 weeks. That's a really long time and it's gotten to the point where I've become afraid I'll never be able to find the words again. Somehow telling all of you about this helps. I've been living under this cloud of guilt and impostor syndrome and telling you lifted some of that weight off of my shoulders. I'm going to warn y'all that it's late on a Sunday night and I haven't had near enough sleep for probably the past couple of weeks. This could turn into the most ridiculous, rambling post ever or it could turn out okay. Nobody will know until I write it and y'all read it. So...here we go. My brain feels full and I might know why. A few weeks ago something happened that has become life changing for me. I'm not good with life changing but this is a change that has to happen because to stay in the situation would be beyond toxic for me. Still, my instinct is to just stay put. I'm fighting with myself which means that nothing is getting done. I haven't written a word in that time. I've started and stopped numerous house projects. None of them have been completed. I look around the house and I'm frustrated to see things half done or things that were half done are now more like a quarter done. 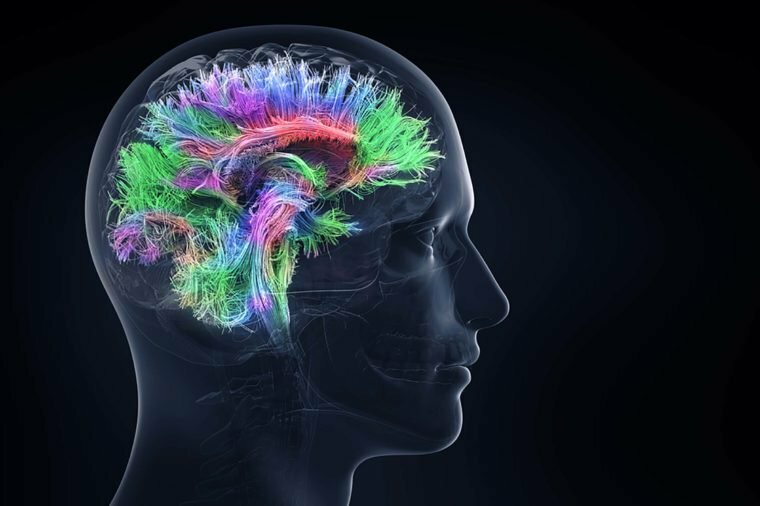 My brain feels full and yet under the exhaustion and "stuffed brain", there's this tiny, flickering flame that says, "It's okay. You can do it. Just pick something and do it. It's not going to be easy, but you can do this." I want to listen to that voice but I think there's also a fear. If I finish the project that I really and truly should finish, it will mean that life changing thing happens. It means that what feels like my one "solid" connection to someone I care deeply about will be severed. It means taking huge steps of faith...faith in myself. It means me doing more than telling a few people that I can do this. It means actually doing it. It means trusting in myself enough to conquer my fears or at least face them. I know that it's why I flit from project to project around here, never finishing any of them. I know it's why I even start other projects when I know what I should be doing. I'm procrastinating facing my fears and trying to move past them. Tomorrow is my only day this week where I don't have to go anywhere and will I work on the project? No. Instead, I'm going to finish another half finished project. I'm going to do my weekly Monday work. Then, I'm going to take some deep breathes and look at the upcoming calendar. I need to try to formulate some kind of plan. Maybe if I break it down into "unscary" chunks, I can start taking those steps. For now though, I'm hoping that I can balance my emotional self. I feel almost like an onion with all its layers (No, I'm not an ogre, I promise!). On the surface, I feel almost manic and that really won't help right now. I'm already sleep deprived. Under that is a solid level of anxiety, then depression, and somewhere deep down, there is a tiny germ of excitement. I need to peel back those layers and find my way to the excitement and make that work for me. I know that what's coming is a lot of work but the theory is that I'm smart and capable and the only thing standing in my way. I need to learn to put all of the garbage into a trash can and out to the curb so that I can take those steps forward. I can do this. One tiny step at a time, one tiny project at a time, I can do this. If you feel stuck and like your brain is full, I know that you can do the thing you need to do too. It's hard but not impossible. Deep breathes and small steps and we'll get there.